Temple Tigers put the mauling from Purnells behind them with an emphatic away win to Timsbury on a pleasantly warm and sunny evening at St Marys Playing Field. 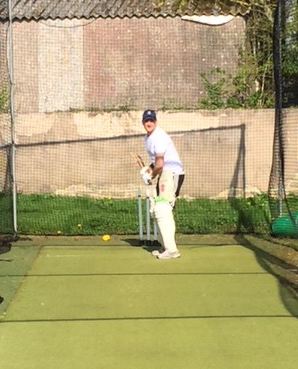 Coach H was able to ring the changes and bring in three of the five who’d missed the previous two games owing to school camp showing the strength and depth that the TCCC U11s now possess. Issac stepped up to the mark and captained the team for the first time also choosing to keep wicket , (Talk about a volunteer who never understood the question) he was ably assisted assisted by Finn. Temple were put into bat first and as always Isla and Anya dazzled the crowd with their very own version of kamikaze running techniques drawing great Oooooos and Ahhhhhhs from those lucky enough to witness their telepathic running exploits. They were followed by Josh and Tom, Tristan, Ned and finally Issac and Finn. Finn played the shot of the evening hoisting one over long off for a well deserved 4. With some great running and calling between all 4 pairs the Tigers left the field having run up a healthy score of 262. The fielding was the best that Coach H and Father Hayne have seen this season. Issac had a blinder behind the stumps and mixed with plenty of accurate bowling the Tigers went into the the 15th over with an advantage of 20. Ned bowled a tidy one and restricted Timsbury to 4 runs leaving the Tigers to run out with a comfortable win of 16 runs. The Tigers go back to third spot in the league . Well bowled Tom – he’s the best improved on this performance and he took the first wicket of Timsbury’s innings. Everyone else bowled AND fielded well as reflected in the result. The victory was celebrated with a tin of Molly’s Chocolate corn flakes with mini smarties spread through out. A fine way to end another winning evening !!!!!!!! It’s now half way through the season and the tigers have played 5 , won 3 , drawn 1 and lost 1 , A fairly impressive effort , keep it up , you never know one of the top two may choke and with games against both still to come who knows the tigers may well end up in the hunt for honours come the end of the season. The result against Purnells Panthers went pretty much the way Coach H had expected . The Panthers were unbeaten four wins from four before the away game and came out worthy winners , pretty much mauling the tigers . To be fair they were all stronger , taller and a little more experienced and it showed . It was a good game played in good spirits in reasonably good conditions . The Panthers will more than likely win the league title so no shame in the loss – Nets on Thursday , Next game away to Timsbury on 11/06/17 . After one rain effected result and a cancelled game due once again to the weather Temple Tigers returned to league action again Midsomer Norton a game more commonly referred to in The Bath and District Youth Cricket League as ” David Vs Goliath ” . Temple lost the toss clearly Charlie Love has been been taking lessons from 2nd XI captain White and were put into bat . Anya and Isla opened the innings and once again got the Tigers of to a great start running like two scolded ferrets between the wicket , after 4 overs the score had moved to a healthy 223 . Next into bat Finn and Will who again kept the score box ticking over swapping the strike and blasting some lusty fours down the Temple slope , Norton managed to respond with a flurry of wickets in one over which eventually pegged the Tigers back to around 230 after 8 overs . Rufus and Josh made up the third pair and continued the excellent start , Rufus was determined to hook everything leg side , the ” Little Lefty ” showed the benefit or perseverance finally connecting on two occasions picking up yet more valuable runs , Josh played straight and pinched a few quick singles , at the end of 12 overs Temple were close to 240 . The final four overs saw Issac and Charlie paired up together and they continued the run feast with some intelligent running , quick singles and running on the wides , ( At last , we finally seem to understand the benefits !!!!!!! ) . Temple closed their innings on an impressive 254 . Norton started well , their first pair posting 224 after 4 overs. Try as they might the Norton batsman couldnt get far enough head , every time the visitors appeared to be gathering momentum the Tigers would take a wicket and peg them back again. ” GET THE SIMPLE THINGS RIGHT ” , Coach H has drummed this little nugget into the Tigers all season , finally it clicked , the backing up , attacking the ball , walking in all paid of . Going into the last over Norton needed 18 to win a bit of a tall order . So in the end David slayed Goliath and the Tigers moved into a creditable 3rd place in the league. 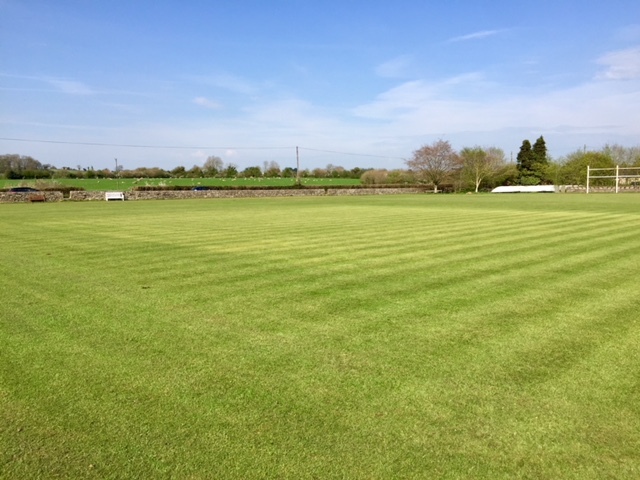 Thanks as always to Stevie and Tim for ensuring the ground and wicket was prepared . To Father Hayne for umpiring , and to all the parents , grand parents , aunts , uncles , cousins , brothers , sisters , nieces and nephews for their continued support . Its all coming together and shaping up well . Next game is 05/06/18 away to Top of the table Purnell Panthers . The Tigers fear no one and will go into this game full of confidence . Father Hayne sometimes says ………… ” Something always happens ” , perhaps tomorrow the Tigers can knock the Panthers from their lofty position ?????? …………… heres hoping !!!!!!!!!!!! Temple Tigers’ game against Chilcompton ( 21/05/18 ) was an unfortunate casualty of the weather. Only 7 overs were completed in the second innings before the rain arrived robbing the Tigers of a likely victory. Batting first the tigers amassed 299 from their 20 overs . Work commitments deprived Coach H of taking helm but his “Intel Officer” reported that all who participated made valuable contributions . The Tigers are now up to 3rd place in the league. Next match (hopefully) is Friday 25th , rearranged fixture home to Purnells . The following is quick resumé of events covering games from 23/4 away to Purnells, 30/4 home to Timsbury and 14/05 home to Purnells again. The less said about our first game of the season 23/4 (away to Purnells) the better, for those of you confused with events leading up to the cancellation it went a bit like this ……..
…. and so on and so forth. 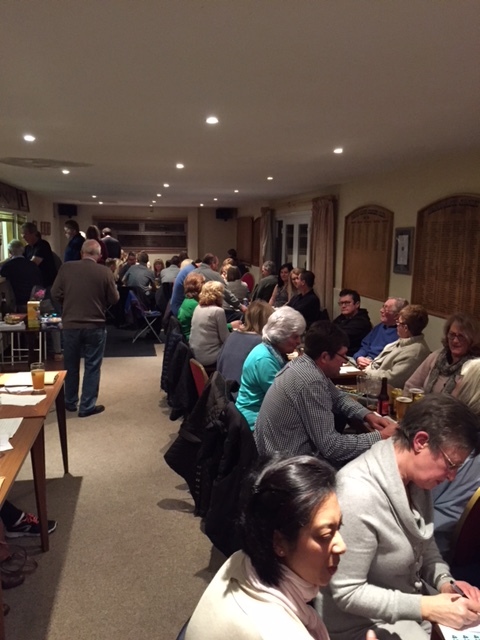 Moving on, the home fixture against Timsbury on 30/4 was played in front of a bumper crowd in dry, chilly conditions . 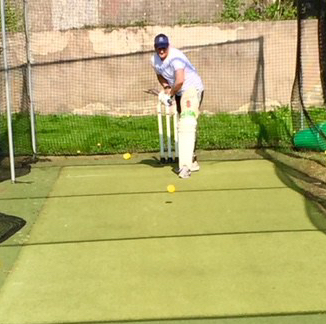 Coach H arrived late on into the second innings due to work commitments. Father Hayne, Stevie and Lord Comer had done their best to organize the Tigers in his absence ………with little success! It’s fair to say that bowling let the Tigers down. A little rusty shall we say? Sometimes wayward, in fact very wayward! Nothing that a little bit of coaching from the resident tutor Reece won’t be able to sort out. In the end, chasing 243 was a little too much and the Tigers fell well short. To be fair, Timsbury’s team will be close to the top of league come the end of the season so no great shame in the defeat. Monday the 14th May saw us play home to Purnells second string. After a week off due the Bank Holiday and some much needed bowling practice, the Tigers returned to action full of enthusiasm. Purnells won the toss and elected to bat. The Tigers, at last, showed what practice, belief and hard work can bring. Everyone who bowled did very well, a few lapses of concentration in the field where feet instead of HANDS were preferred, allowed Purnells to amass 243. Aisla and Anya opened Temple’s batting and after 4 overs had amassed 232. Therafter Will, Issac, Rufus, Jessie, Mitchell and Josh, backed up by Tristan, Charlie, Josh and Finn all contributed runs in their innings. Shot of the innings went to Mitchell who launched the pick of the Purnells’ attack over mid-wicket for four followed up with an outrageous celebration. A sort of “Floss” mixed with a bit of the Cha cha cha! Anyway, The Tigers chalked up their first win of the season by finishing a very comfortable 29 runs ahead. After the game, celebration cakes were once again provided by Molly Hancock, an assortment of cup cakes with icing and sprinkly bits all over, very nice! Special mention goes to “Nedders” who kindly volunteered to sit out his innings due to a mathematical malfunction on Coach H’s behalf. No crying, no squabbling just good old fashioned unselfish behaviour. Fair play to Ned – he gets to open the innings in the next match.